Sen. Josh Hawley, R-Mo., pauses during a Senate Armed Services Committee hearing on “Nuclear Policy and Posture” on Capitol Hill in Washington, Thursday, Feb. 29, 2019. The economic juggernaut we call the internet has thrived principally thanks to a single U.S. law passed more than two decades ago—Section 230 of the Communications Decency Act. It states quite simply that website operators shall not be treated as the publishers of information posted by their users. To wit, Gizmodo cannot be held liable for some harebrained reader posting a defamatory remark in the comment section below. Now imagine that starting tomorrow that wasn’t the case: Comments are canceled. There isn’t a company on Earth that would allow its users to say anything at all if the company could be dragged into court the next day and sued out of existence. Most of the top 10 most popular websites in the U.S.—Facebook, Wikipedia, Twitter, and YouTube among them—would quickly go bankrupt. On Wednesday, Senator Josh Hawley once again laid into Twitter over a brief and apparently accidental suspension of an account espousing conservative views. And that’s fine; critics of Twitter’s moderation policies span the political spectrum, and it deserves to be criticized for any number of reasons. 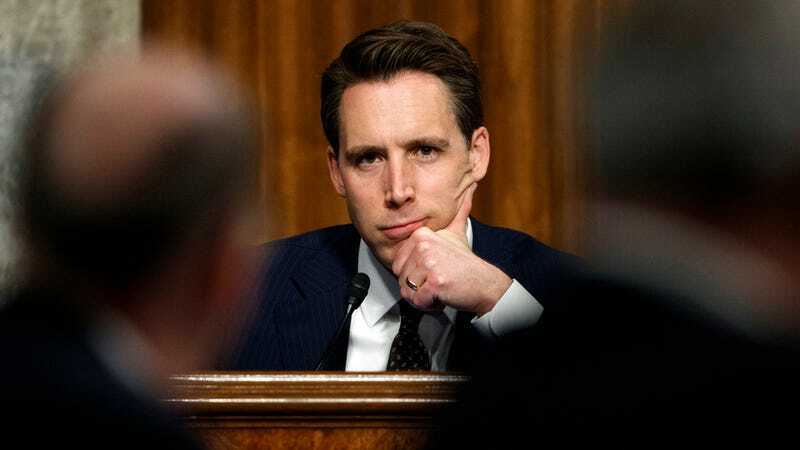 But as he’s done in the past, Hawley took advantage of the incident to spread misinformation regarding the purpose Section 230, a law that Republicans keep suggesting might need to be dismantled. Section 230 Is the Foundation of the Internet, So Why Do Republicans Want to Change It? Section 230 does not shield websites from liability because they are politically neutral or because they offer “a true diversity of political discourse.” If that were the case, the National Review, Fox News, the Daily Caller, and every right-leaning site offering online political commentary would be fucked; as would ThinkProgress, Splinter, Daily Kos, and every other progressive-leaning site—as would Gizmodo. The law simply has nothing whatsoever to do with politics. Sites like Twitter and Facebook frequently ban, suspend, and punish accounts espousing left-wing views. Fox News, according to a recent study, commands more engagement on Facebook than any other outlet. But whether lawmakers like Hawley and Cruz really believe that Big Tech is out to get them, the legislative solution they’re pitching is, at best, nonsensical. At worst, their plan threatens to undermine the foundation of the internet itself and poses a direct threat to free speech and the global economy on an unthinkable scale.